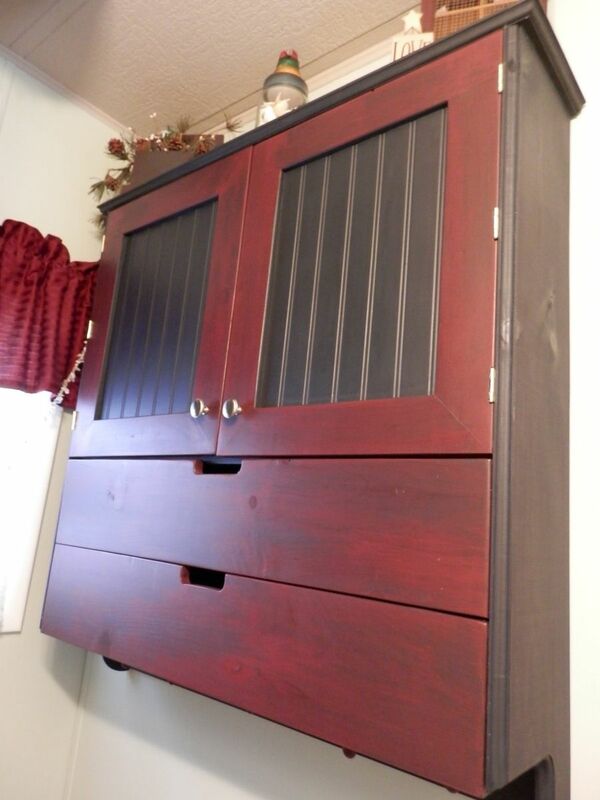 Rustic large wall cabinet can be used almost anywhere in the home. 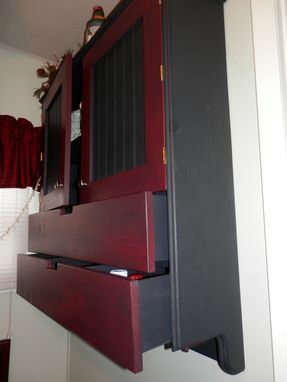 Behind the bead board doors are 2 shelves and under the doors are 2 large drawers with divders in each. .Measures 41 inches tall..37 inches wide and 9 inches deep. Shown in the wine color. If you would like it sanded back for a distressed look, let us know.